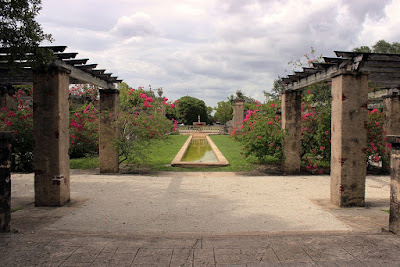 Fairchild Botanical Gardens located in Coral Gables Florida and is a hidden treasure of color, beauty and nature. Here you will find boundless collections of tropical plants including succulents, cacti, palms, ferns, flowering trees, tropical fruit trees, vines. Fairchild Botanical Gardens not only offers an invigorating place to experience all the natural beauty but also offers programs in conservation, horticulture and environmental education. Their carts are even sun powered! Two thumbs up for them! 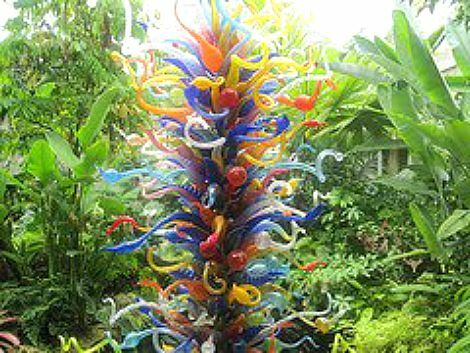 You’ll find an array of tropical plants & flowers accented by abstract metal art, glass art throughout the 83-acre garden. Lotus flowers are in varied colors in the pond-you can find a mixture of pinks, oranges, yellows that exude vibrant life. I suggest if visiting in summer (June/ July/August/September) be prepared to be hot & sticky. Those are the most humid months and the park covers a lot of open ground, so you’ll be exposed to sun and humidity. I personally don’t mind the heat and sun so had no problem visiting in June. If you happen to be planning a wedding, you can have it here among the gorgeous lakes, gardens. 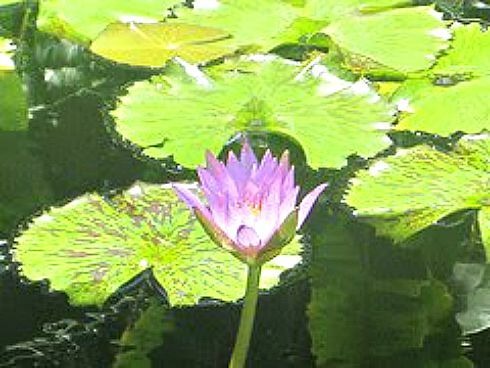 There are countless baths, exhibits, ponds, vistas and garden areas in the park to ensure that you have a memorable & colorful visit. This post was written by Guest Blogger, Tara Burner. Tara is an Author & Certified Inspiration/ Health Coach who enjoys traveling as well!